Happy Tuesday! 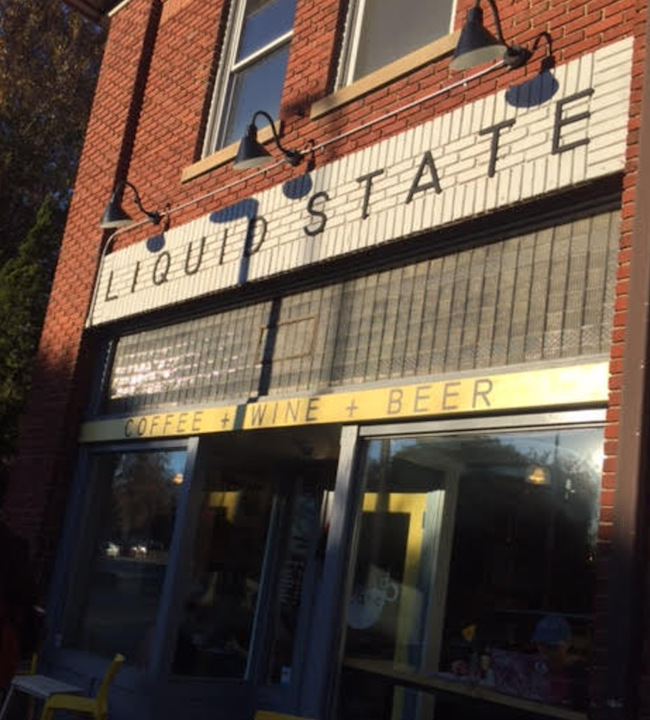 This week’s Tasty Tuesday is Liquid State, a more-than-just-coffee coffee shop located near the roundabout of Pullen Rd, Oberlin Rd, and Hillsborough Street. 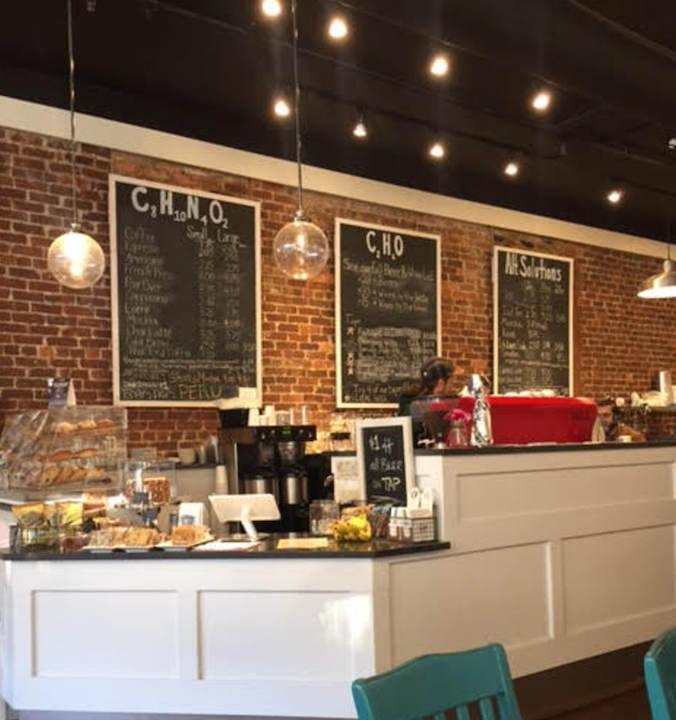 Liquid State is a coffee shop that creates beautiful coffee and espresso drinks made with single origin coffee beans that are shipped locally from Carrboro Coffee Roasters. 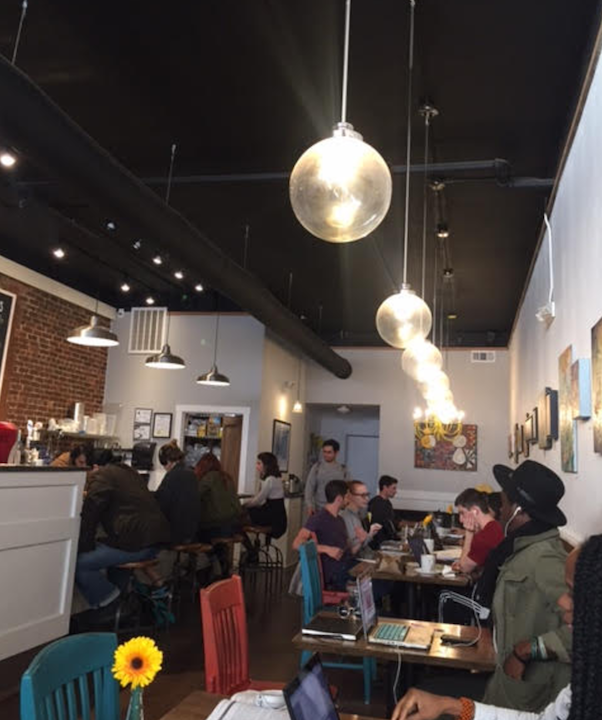 While they are a full-service coffee shop, they also have 22 different types of teas for the tea lovers and also alternatives including Kava, Yerba Mate, and Matcha. Coffee is the world’s most popular pick-me-up, but for the days when you need something a little stronger, Liquid State has got you covered with their offerings of wine and beer! They often feature delicious wines from small producers, so you’re always able to try something new. They also have six rotating taps available as well as a great selection of bottles and cans. 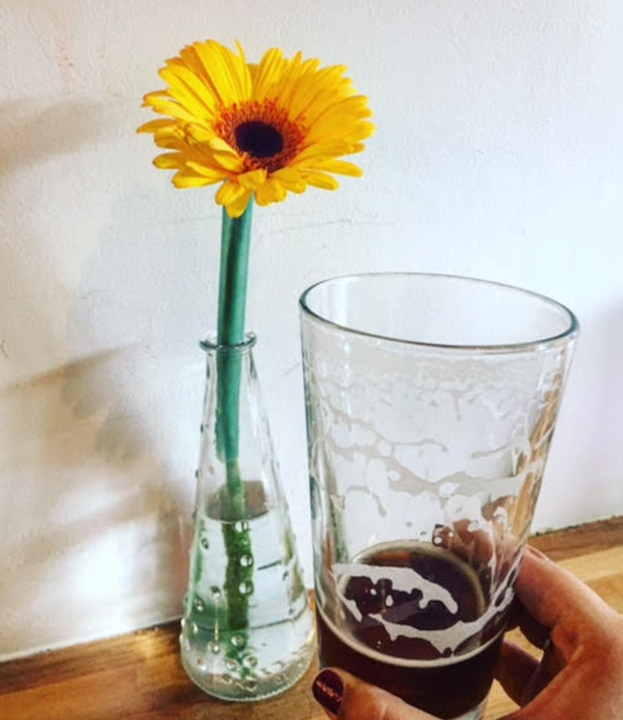 Liquid State loves to focus on local beer, so if you’re looking to #ShopLocal look no further! I tried the Cold Mountain Winter Ale from Highland Brewing Company. It’s inclusion of caramel, chocolate, hazelnut, and vanilla flavors make it just perfect for a cold, rainy day. And just when you thought it couldn’t get any better…they also have food! 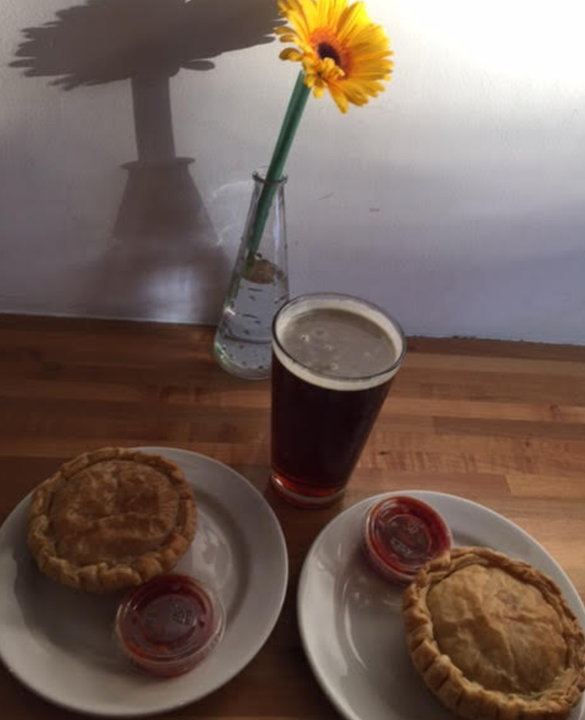 Liquid State features gluten free pastries from JP’s Pastry and also South American vegetarian and meat pies from Pie Me (which are both locally owned!). My fellow intern, Laasya and I had the Mac & Cheese Pie…which was the most innovative (and delicious) thing I’ve ever eaten. They also offer daily events and specials, including $1 off IPA drafts, $1 off wine glasses, and sometimes even free wine tasting! Not only does Liquid State have amazing drinks and food, but the environment is so warm and welcoming as well. It’s the perfect place to grab coffee with a friend or catch up on some work.